I like sugar. I like sugar a lot. In fact, it might be one of my favourite things. 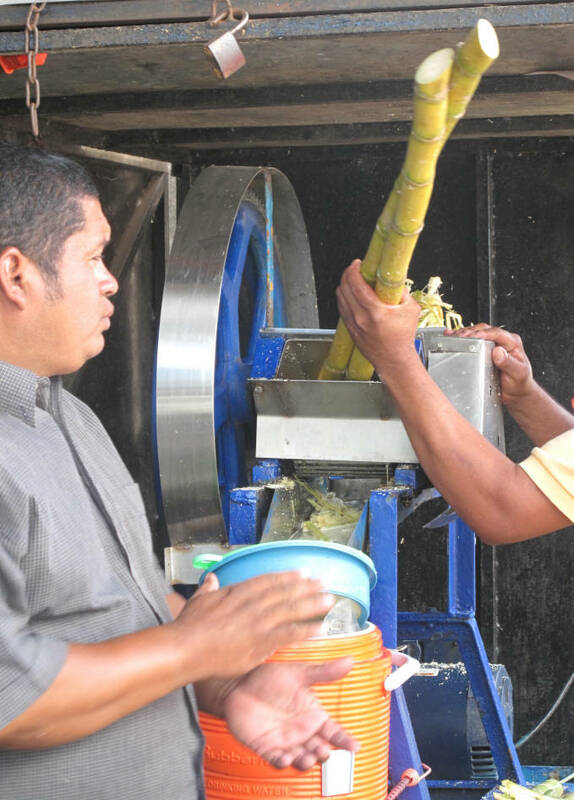 So, when I went to Panama two years ago and found out you could buy freshly squeezed sugar-cane juice I was astounded. 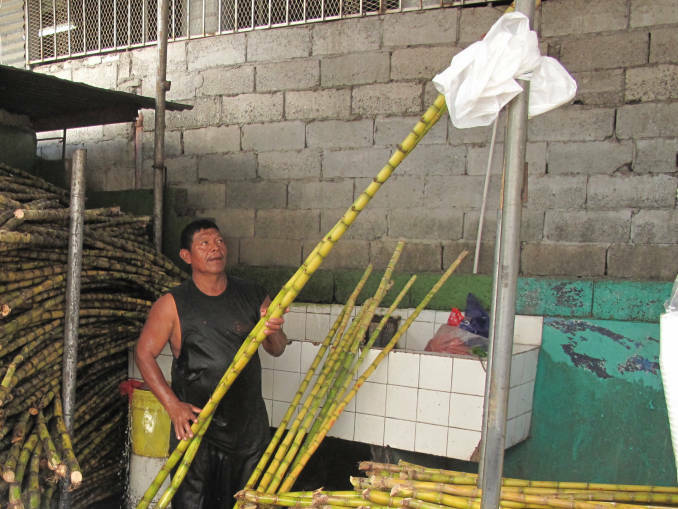 This man’s job is to clean the sugar canes. The dirty ones are on the left, and the clean ones are on the right. Using a cloth and water he scrubs all the dirt away. 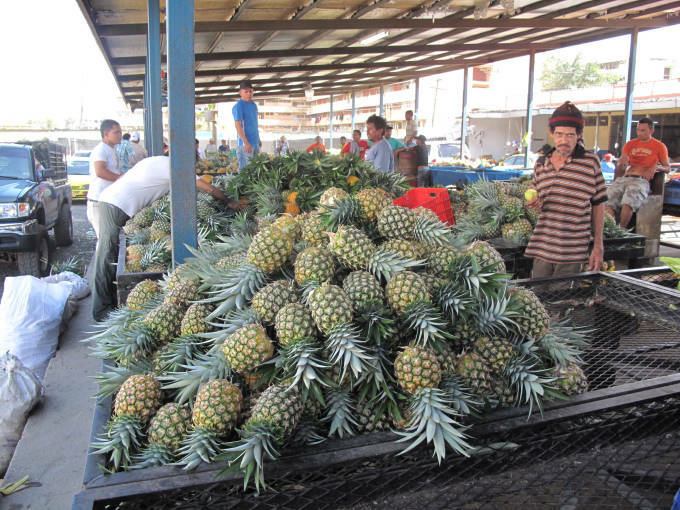 The sugar cane stand was in a fruit market in Panama city. This man sells pineapples at the fruit market. I only noticed his facial expression as I was uploading the pictures to my computer. That’s Hamzah. 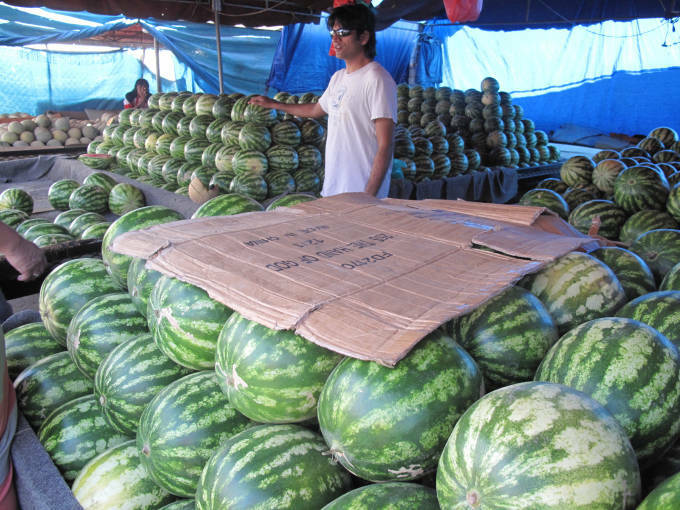 He’s a watermelon expert. During my trip to Panama I also got to visit the beach (that’s where I found the coconuts that I opened up and drank). While I was swimming in the water, splashing everything around me, my brother noticed something strange floating in the water. 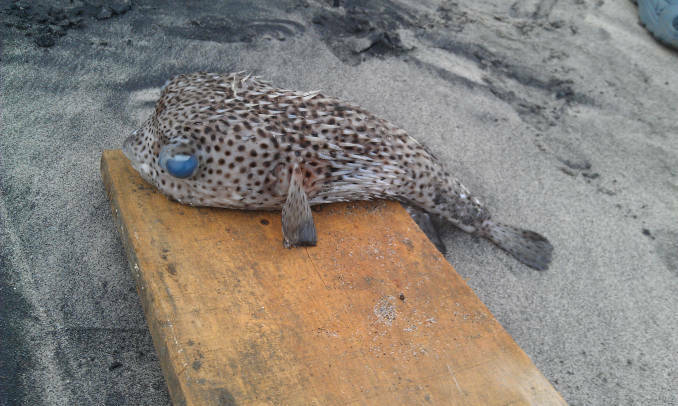 It had long, sharp spikes and a flat face with huge blue eyes. It looked like it was staring into my soul. I was pretty sure it was dead. When it was alive it likely was able to blow-up. 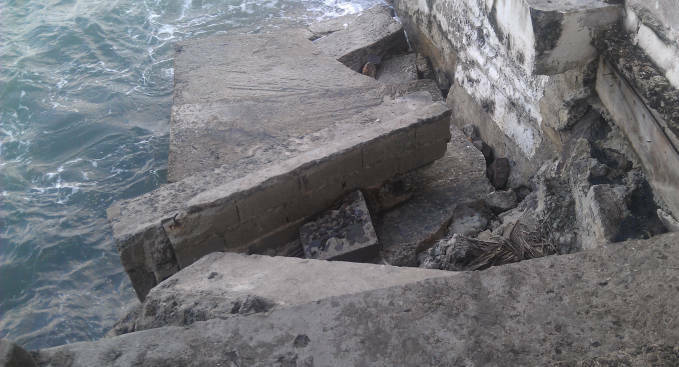 So, naturally, my Dad tried to get it out of the water with a piece of wood we found on the shore. I was so excited. I thought that we had discovered a new species! We were going to name it a Rilan [REE-lan]. 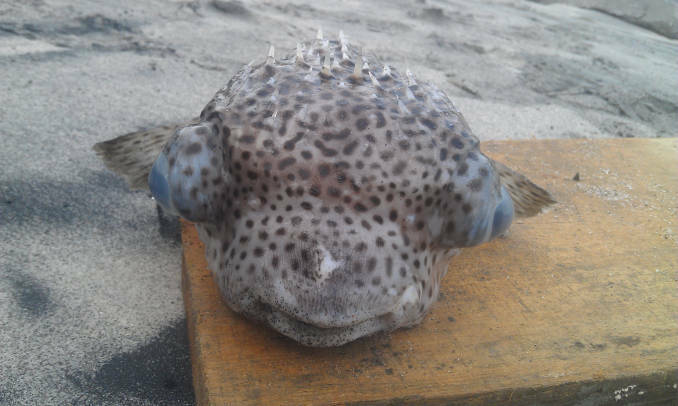 Later, the all-knowing internet led us to believe it was a porcupine-fish. I won’t, however, accept defeat. I still think it was a Rilan. If you’re a marine biologist, or would like to send me some type of award for my progress in science, I’d love to hear your thoughts about the new species we discovered I discovered all by myself in the comments. The strange fish’s spikes pricked my Dad and he started to bleed. My mother started to freak out. She was really worried, so my brother took pictures of the fish so that if needed we could show it to the hospital staff. Unexpectedly, that didn’t cause my mother to calm down. While sugar canes are sweet, nothing is sweeter than Canadian blueberries. While spiky fish are cool, nothing is cooler than homemade ice cream. 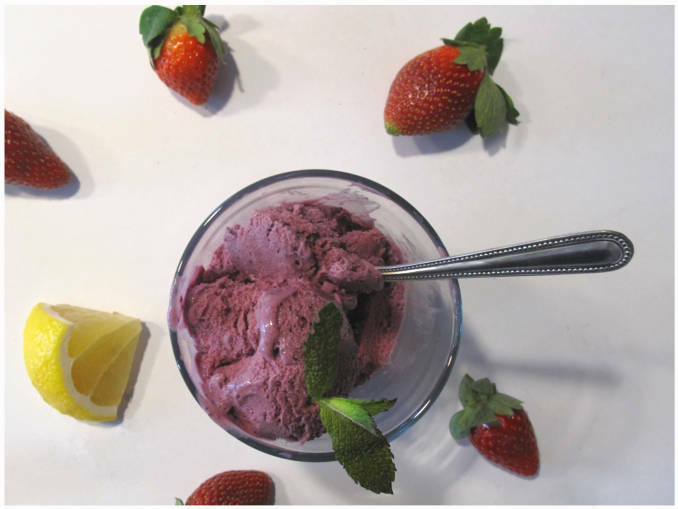 A how-to guide on how to make rich and smooth blueberry-lemon ice cream. 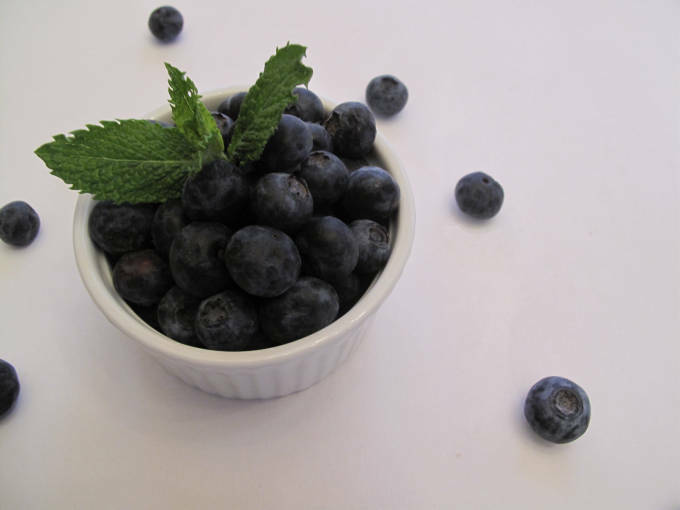 Add blueberries to a medium saucepan with ¼ cup sugar and lemon juice. Cook over low heat, covered, for 20 to 25 minutes. Drain using a fine mesh strainer, pressing berries to extract as much juice/puree as possible. Set aside. Heat ¾ cups milk, ¾ cups heavy cream, and 1 cup sugar in a separate saucepan over low heat. Turn off heat when mixture is totally heated. Add 1½ cups heavy cream to a separate bowl. Beat egg yolks by hand or with an electric mixer until yolks are pale yellow and slightly thick. Temper the egg yolks by slowly drizzling in 1½ cups of hot half-and-half mixture, whisking constantly. After that, pour the egg yolk/half-and-half mixture into the pan containing the rest of the half-and-half mixture. Cook over low to medium-low heat until quite thick, stirring constantly. Drain custard using a fine mesh strainer, then pour into the bowl with the cream. Stir to combine. Add blackberry juice/puree to the cream/custard mixture and stir. Chill mixture completely, then freeze in an ice cream maker until thick. Place container in freezer to harden for an additional two hours. This is an amazing fish! wow, how wierd :-)…. Sorry, I got distracted, I came for the ice cream and then saw the fish :-). 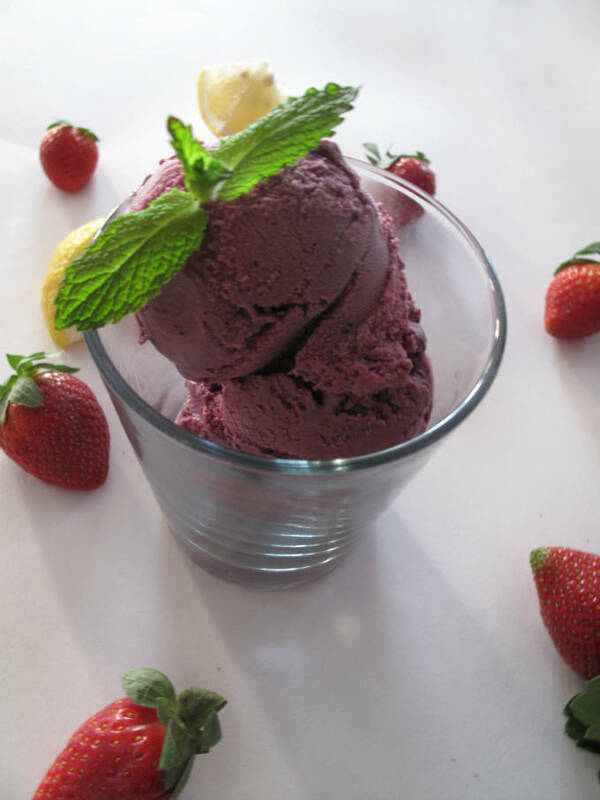 Now back to the ice cream – it looks wonderful! 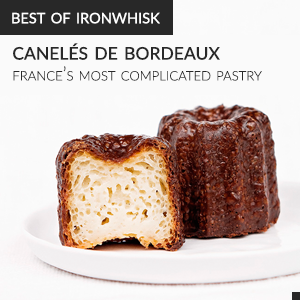 Definitely a recipe to try! How sweet and tart and delicious it must taste! Thank you for sharing on RecipeNewZ. I am glad that I discovered your blog! Love it! I hope you return to RecipeNewZ and contribute more of your posts!